I had no plan for this composition, except perhaps, to see the interaction of the pigments. There is a suggestion of pages of a book stacked upon each other, or bowed, one end attached to the spine, the other free. This might be creative bleed-through from my painting posted the other day. Another quick glance hints at landscape of another world. 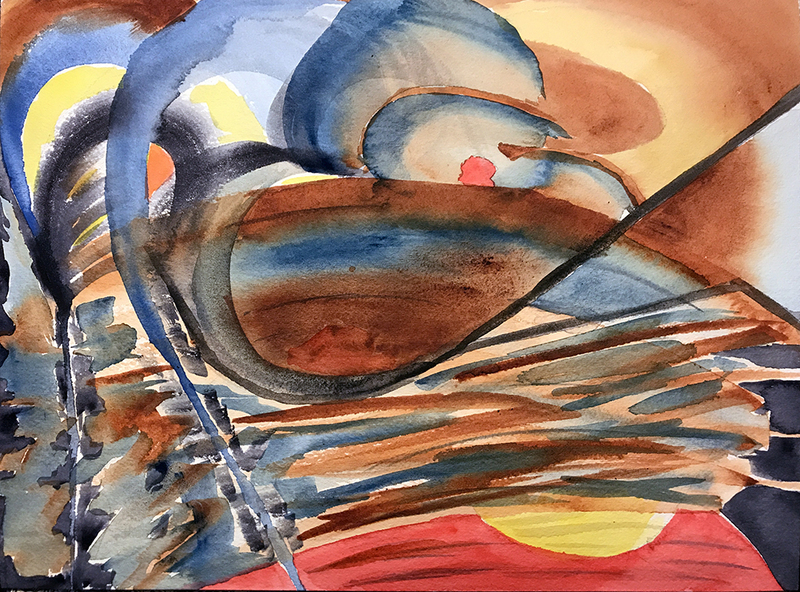 This entry was posted in Personal Stories and tagged abstract art, artistic process, book pages, books, creative process, creativity, landscape, painting, visual arts, watercolor. Bookmark the permalink.